UPDATE: Lara and Rob appeared on Shark Tank on October 23rd. They sought $55,000 in exchange for 25% equity in their company. There were no takers among the sharks. 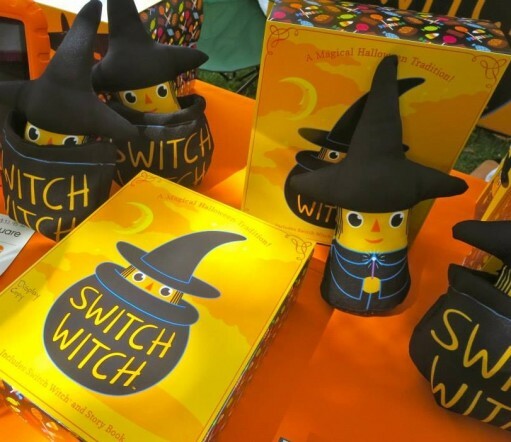 Business partners Lara Spear Riley and Rob Bouley are the co-creators of Switch Witch, a Halloween-themed plush doll, cauldron, and accompanying storybook. Come Halloween, children dress up and still go trick-or-treating. Only when the kids get home, they deposit a portion of their candy stash with their Switch Witch, and in the morning – Presto, Change-o – the candy has been transformed into a special switch gift. The real magic is how this unlikely product and duo caught the attention of the producers at ABC-TV’s Shark Tank. Riley and Bouley will face off against the notorious panel of sharks on Friday, October 23, 2015, at 9 pm Eastern Day Time. But first, Riley and Bouley share their own entrepreneurial tale – and the steps they took to earn a spot on Shark Tank – with reputation coach and Monday Morning Radio host Dean Rotbart – our resident guppy. Visit Switch Witch and pick up a truly special Halloween treat for the children in your life: www.Switch-Witch.com.